It was a great big shift was us in 2011. I was quite excited to buy the TV, as all this while I had a small LG 21 inch TV, which wasn’t bad. 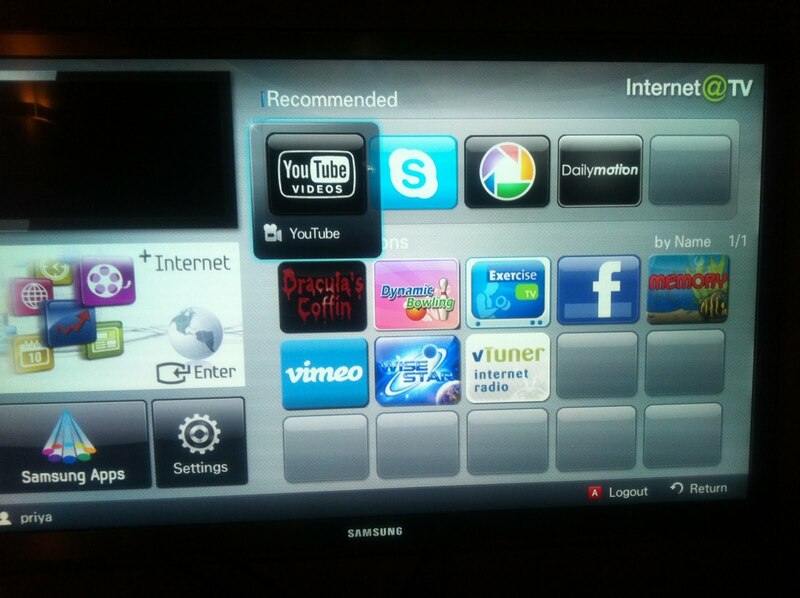 What impressed me was that with the Samsung TV, the applications that came in-built (at least at the showroom it did). Internet@TV had YouTube, Picassa, Facebook, among other application. The Samsung app world is small as of now, but the company is building it’s base. However, the demonstration at the time of installation was a complete let down. Typing the password through remote was very crappy. In addition I had to buy a dongle to enable wifi in the TV. I decided not to do so. We were ok watching TV. Till sometime. All this while, including October, my Apple TV that I had bought from the Australia trip for $125 was kept packed in my media console. People would ask question and I would give them half baked answers. Finally, on Diwali, I got it out and plugged it to TV with the HDMI cable. I was fed up of showing Youtube videos to Dhriti on iPhone. 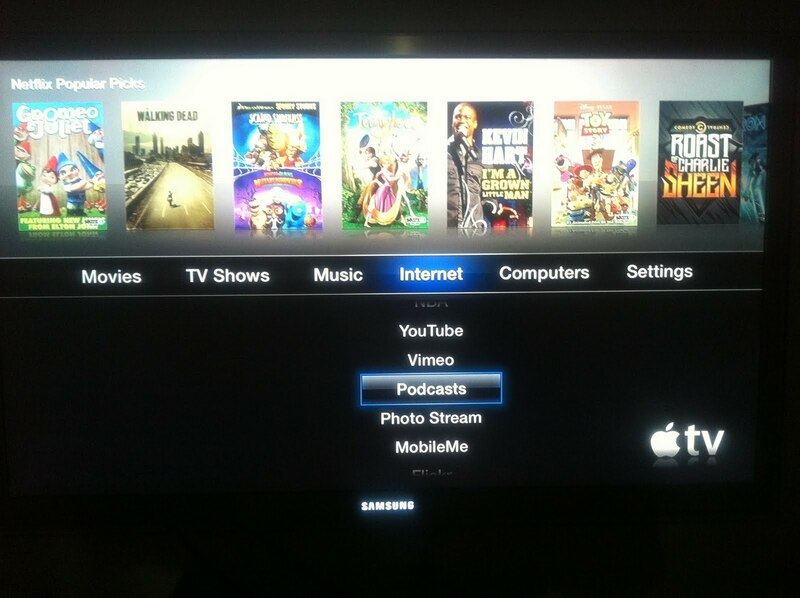 Apple TV is not bad at all, We watch Youtube videos, for a considerable time on Apple TV. Not just that, the other day during a get together, I streamed music from one of the internet radio channels and was amazed with the quality and library of music. I’m not putting the pictures for the Movies section, as we can’t access movies yet from the section (Apple doesn’t have the movie distribution rights in India). It has a large library of HD movies ( I was amazed to see all Stanley Kubrick collection and latest TV series). I can access the previews and they are excellent. 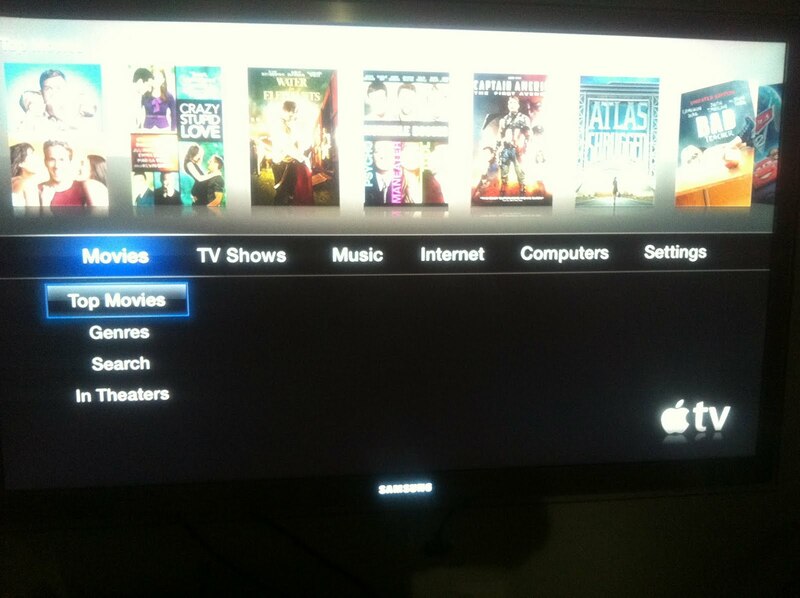 Additionally, with the new iOS5 you can stream your pictures, iTune Videos and Movies through Apple TV. These maybe just small snippets of the innovations that is happening at this point in time and of the future . 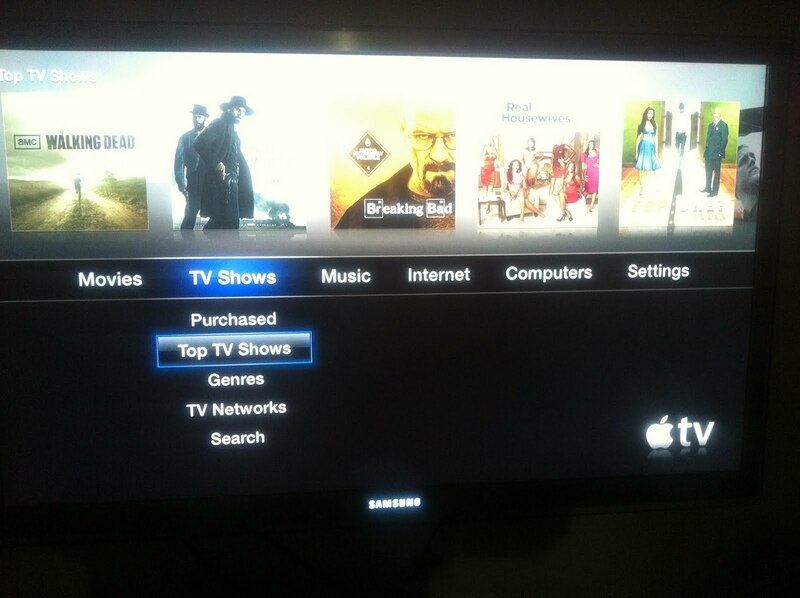 Did hear the news that the next big thing that apple is working on is a television device ? I’m already waiting for it.